Published new free pattern "Loopsi" on Ravelry and Craftsy. Visit my Ravelry pattern store "Rockinknit"
Visit my Craftsy pattern store "Rockinknit". This is a super fast knit, great to use stash yarn or scraps left over from project. I always finish project and usually have left overs of beautiful yarn. 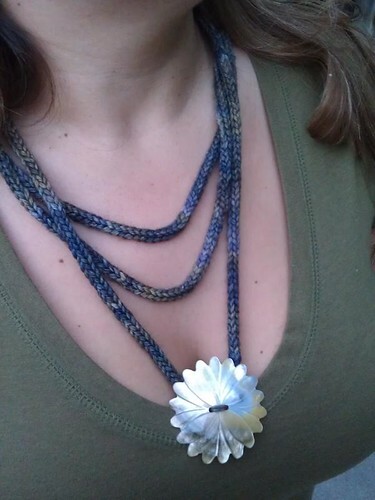 I used Malabrigo Rios for this Loopis necklace.